The long-awaited launch of SEPTA Key, the new fare payment system that will replace the agency's tokens, has again been pushed back after the agency projected a partial debut in April. The system, which will operate using a contactless fare card for buses, trolleys and subways, has been in the works since 2008, when SEPTA first issued a request for proposals. A contract was signed in 2011 with Xerox subsidiary ACS Transport Solutions Group, and after several years of modifications to the technical plan, SEPTA had hoped to introduce the system as a replacement for monthly and weekly transit passes. According to Plan Philly, SEPTA general manager Jeff Knueppel confirmed that the rollout will be pushed back pending the outcome of an April 15 meeting with ACS Transport Solutions Group. Repeated delays have largely been attributed to the massive scope of the project, a $140.6 million initiative encompassing 1,850 onboard fare processors, 350 vending machines, 650 turnstiles, 550 platform validators, 300 parking payment stations, 480 handheld sales devices, 1,200 offsite card purchase locations, and 2,000 card reload locations. SEPTA has also been committed to correcting bugs and designing SEPTA Key to be adaptable to any modifications deemed necessary in the future. SEPTA remains the only transit agency in the United States still operating on a token system. 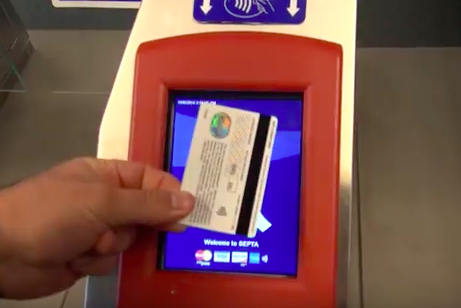 The video below provides a demonstration of how SEPTA Key will work when it's finally up and running.